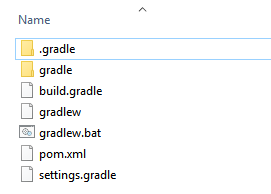 This article covers shortly how to convert Maven POM file to Gradle build file. This will be useful in case we have a Maven project and want to quickly convert it to Gradle project. Gradle provides us a plugin called Build Init Plugin which can be used to bootstrap the process of creating a new Gradle build. It supports creating brand new projects of different types as well as converting existing builds (e.g. An Apache Maven build) to be Gradle builds.